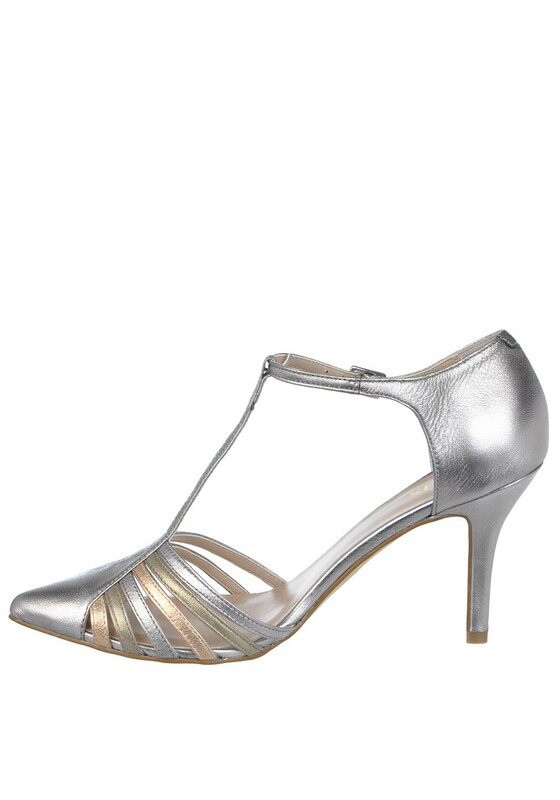 Stand tall in these amazing metallic leather shoes from Lotus in silver. This perfect pair have multi-coloured strap front, T-bar strap and buckled side. They have a matching stiletto heel and are the ultimate statement pair. Materials: Upper- Leather. Lining and Sock- Other Materials. Sole- Other Materials.